Hey guys, I’m noticing that occasionally very low quality textures are being displayed. This doesn’t happen all the time, and sometimes refreshing the browser fixes the issue. This happens on multiple browsers (Firefox, Chrome) and on various different computers. Is this a known bug? I’ve reprocessed your normal maps with lossless compression, so the result should be much better now. 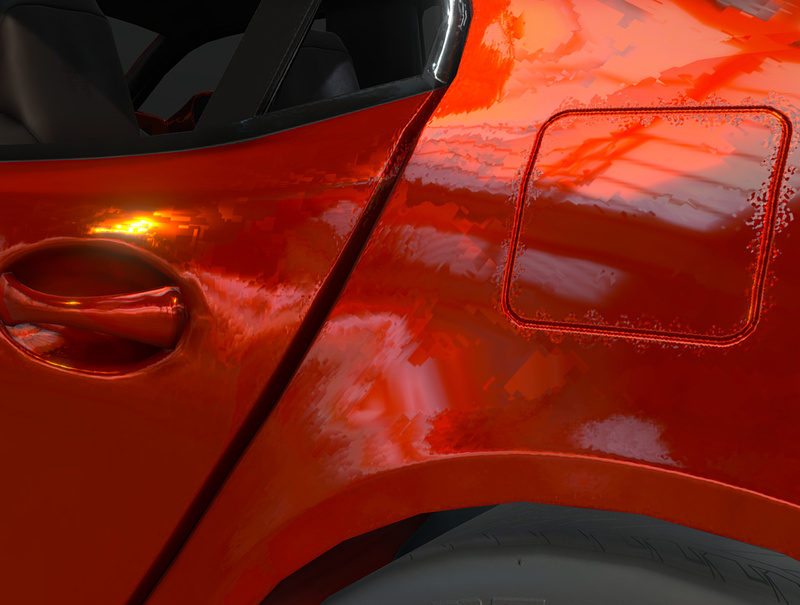 See Normal map texture compression problems for more details. It appears to have been fixed, but I am still curious why the compression issue was intermittent in the first place. Refreshing the browser sometimes fixed it, other time entering/exiting the 3D settings resolved the issue. Strange. Is that (uncompressed normal maps) going to be an option available to us in the future? 3D Settings always uses the original, uncompressed textures. Each time you edit 3D Settings, we regenerate optimized and multi-resolution textures. This can take some time (usually 5-10 minutes), which is why the problem may have seemed intermittent. If I remember correctly, if you don’t see the HD (SD/LD) indicator in the viewer menu, that means multi-resolution textures have not been generated yet.